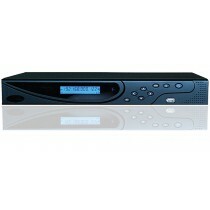 Don't be fooled by the low cost of this CCTV Recorder, it packs all of the features of the more expensive Recorders. 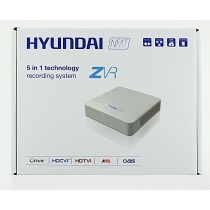 It can record Full HD on all cameras at 15fps and has realtime recording at 720p HD ready quality. You can use your old analogue cameras or connect the new Full HD TVI cameras for an incredibly sharp and detailed image. No more blurry CCTV footage. You can easily connect the ONYX Mach 2 TVI recorder to the internet using the app, just follow the four simple steps. You no longer need a static IP address or complicated port forwarding, you can even connect it to a 3G router. 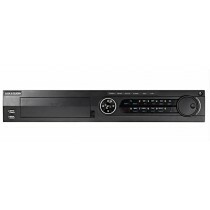 HIKVision DS-7208HQHI-F1 Full High Definition Recorder. 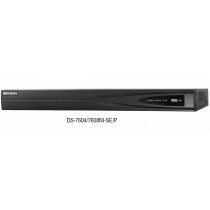 You can easily connect your old analogue cameras and/or the latest High Definition cameras AND two extra IP Network camera, all on this one fantastic recorder. It also has P2P and DDNS built-in, so you no longer need a static IP address. This version comes with a large 4TB Hard drive. This recorder even works with 3G Routers. NOTE: WE WILL NOW AUTOMATICALLY SHIP OUT THE LATEST DS-7208HQHI-K1 RECORDER. IT HAS EVEN BETTER FEATURES. 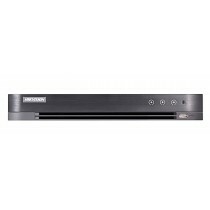 This is our most popular range of recorders and it's easy to see why - Full HD, quality build, big 4TB Hard Drive, easy to use and brilliant free remote access software. 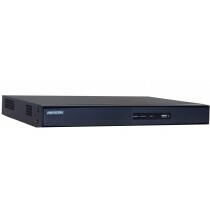 DS-7208HQHI-F1/N/A 8 Channel Professional DVR that can take TVI, AHD, HDCVI and CVBS analogue cameras as well as 2 IP Cameras up to 2MP. The recorder has it all: easy to use, easy playback, easy remote setup, P2P, no need for a static IP anymore. No need for complicated port forwarding anymore when you use HIKVision recorders. 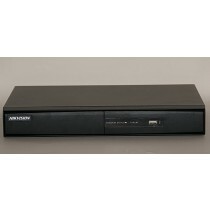 Comes with 2TB Seagate Surveillance Hard Drive as standard, select 4TB in options if required. This is the first recorder from HIKVision that can take most analogue formats that you can throw at it. You can use TVI cameras from manufacturers like HIKVision, AHD cameras from cheaper manufacturers, HDCVI cameras from Dahua, they will all work with this recorder, plus you can use 2 X 2Mega-Pixel Ip cameras as well.